I just finished reading Gabrielle Blair's book, Design Mom. 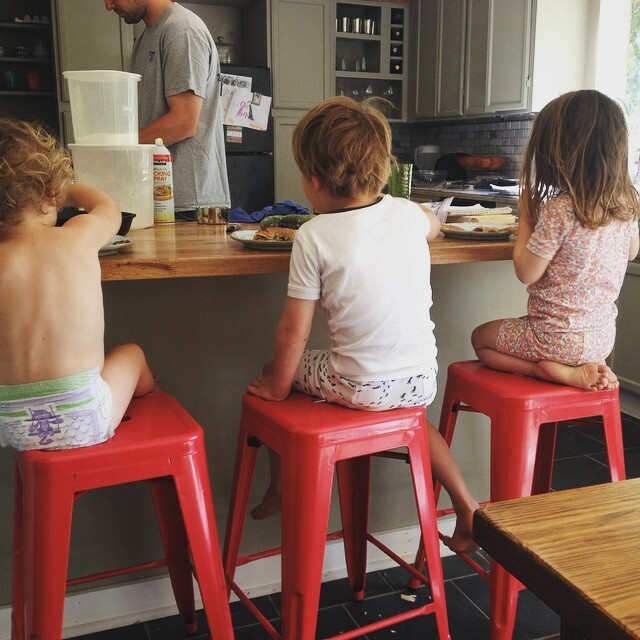 She's a blogger, mother of 6, and she writes about form meeting function in a home with kids. I LOVED this book. I put it down feeling both validated and inspired about my home. An issue I have in my own "decorating" is thinking - oh, this is taking too much time, money, and energy. I should be doing something more practical like making huge batches of chicken spaghetti and freezing it. Or folding laundry. 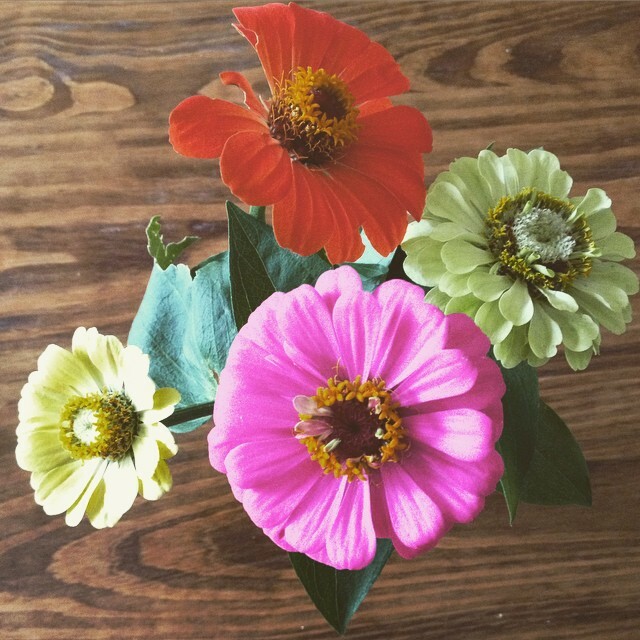 The effort it takes to make my home beautiful sometimes seems too frivolous and not deserving of my time and energy. That being said, this book reminded me that attention to detail and thinking through of the appearance and practical use of a space, is both valuable and time worthy. Home is the back drop for which we do life. All the details add up and give the feeling of home-y-ness and beauty and enable things to run more smoothly. Design isn't some froufrou gloss or shiny veneer on life, its insisting on a solution (preferably an elegant one) and working carefully to make sure that solution works within whatever constraints you have - architectural, financial, or the fact that children live in your home. I know for a fact that you can use design to solve problems in your home. 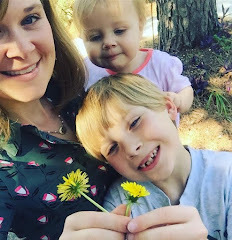 I've had a million (well, technically, a lot less than a million) conversations with readers and other parents about how to make their nitty-gritty, day-to-day duties more intentional, more stylish, and, dare I suggest, way easier. So here's a few examples of design solving solutions to problems in my home and general improvements I've been making lately. My mom found these red stools at Kroger of all places! Now the kids eat almost every meal here except sit down family dinners. It is way easier to clean these stools and sweep the floor underneath than it is to clean under and around the tight space of the kitchen table. This drawing has spent way too long in my art box. Stephen drew this picture of George in his crib with his quilt for a school assignment. I think it's the most precious thing in the world. Finally, I grabbed a cheap frame at Micheal's and hung it above George's crib. In the book, Gabrielle, recommends investing in nice looking laundry baskets. She says "choose a basket you can live with when you start folding laundry in the family room and don't finish for three days." Y'all, I was so overdue for some new laundry baskets. I found these deep turquoise, striped fabric buckets on clearance at Target, and they make my heart so happy. I realized that the laundry baskets are as much a fixed part of the decor as our bed or the living room sofa. They are out 24/7. It is totally worth it to buy some nice looking ones. These cost the same amount as the plastic ones I almost bought a few weeks ago. The book also addressed shoe storage, and I felt validated because I've got this covered. My system has stood the test of time for many months. I have this huge shoe basket close to the front door. All my children's shoes live in here. This is so much easier than returning shoes to closets 10 times a day. I got a sleek looking canister to hold coffee grounds instead of the huge bag of coffee sitting out all the time. Why have I never thought of this before?! It totally changes my attitude about this coffee corner. Plus, we don't have to stick our hand way down in the bag to scoop the grounds. For the living room shelves, I finally put pictures in all the frames and de-junked the bottom shelves. There are a few other things I'm working on in kids' rooms with book storage and toys. Also, I'm working on the new baby's tiny nursery, which is so fun! I can't say enough good things about the book! As someone who is home the vast majority of my time, it is nice to be encouraged that aesthetics matter and also hold a practical component. Design can improve our systems and inner workings of household chores and duties, and more importantly can be a major morale booster for the whole family! One last thing I love that Gabrielle Blair says, ...."there is no due date for my house (or your house) to be "done." There is no to-do list of tasks I have to accomplish right away to make sure my home is wonderful. I can implement one idea today, solve a recurring problem tomorrow, and over time create an inviting haven that makes for the best sort of family memories."